The days of leaving our keys in the car and never locking our homes are over. Even in rural areas, the number of home invasions and burglaries are on the rise. Most burglars are looking for opportunities, such as unlocked doors or weak security. 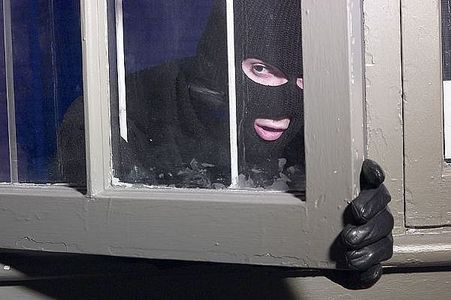 There has recently been a series of burglaries in my service area where the criminals are knocking on doors, looking for unoccupied homes to break into. They simply go door to door. Home security, like a chain, is only as good as its weakest link. A burglar is looking for an easy target and the home owner can deter most of these criminals by having good basic security for their homes. Home security is a topic that includes many componets and each must be strong or the home is vulnerable. This is a topic we will address at another time but I believe a deadbolt on each exterior door is a critical link in your homes security defenses. Many of my clients think of their locking door knob as good security, while a criminal may see it as an opportunity. 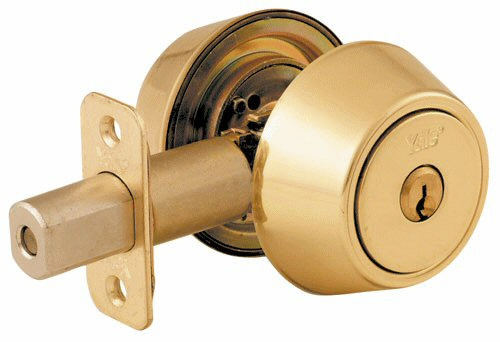 The differences between a deadbolt and a locking door knob, in their ability to keep you safe, are quite substancial. The door latch, which is what you use daily to enter and exit your home, is made to keep the door closed when you simply swing it shut and don’t want to take the time to bolt it. Most can also be locked, but should be considered secondary security and not primary. A dead bolt is not designed for convenience, as a latch is, but is a security device. A dead bolt typically extends one inch from the edge of your door through a strike plate, (and in the better products) through an additional reinforcment plate which is is fastened to the door jamb and into the framing with three inch wood screws. Where as the door latch only extends about half as far and can easily be bypassed with a pry tool or a criminal can simply kick in the door spliting the jamb. (remember weakest link). When a dead bolt is fully extended it locks into position and cannot be forced back. 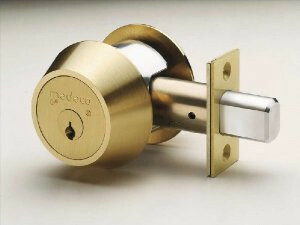 Many door latchs have a dead latch added to lock it in position. I have found that these are not reliable and are difficult to keep in adjustment and therefore, as mentioned above, easily defeated. In summary, Any exterior door lacking a dead bolt is an opportunity for a thief. A locking door knob should not be used for primary security and should always be accompanied by a properly installed dead bolt. It is my sincere hope that this is information is helpful in keeping you safe. Posted in Locksmith, Locksmiths, Residential Locksmith, Commercial Loc and tagged deadbolt.